In mid-summer 1990, less than seven weeks after his inauguration as president, Lee Teng-hui honoured his campaign pledge and convened a National Affairs Conference (Kuo-shih hui-i) (NAC) to foster a national consensus on a blueprint for constitutional reform. Six years later, in December 1996, after he became the first democratically elected President, Lee convened another major conference. The proclaimed purpose of this conference on national development (Kuo-fa hui-i) was to put a conclusive end to the constitutional conundrum and lay a solid constitutional foundation for Taiwan’s new democracy to consolidate itself. 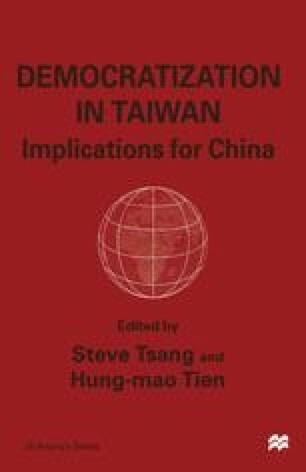 Both conferences are watershed events in the course of Taiwan’ s democratic consolidation. This written project is supported in part by a National Science Foundation Research Grant (NSC-860-2145-0001).